A record-setting 70 percent of Americans celebrated Halloween in 2011, according to the U.S. Census Bureau. Unfortunately, it was also a very busy time at Pet Poison Helpline. During the week surrounding Halloween in 2011, call volumes increased by 21 percent, making it one of the call center’s busiest weeks on record. Pet Poison Helpline is a 24-hour animal poison control service that assists pet owners, veterinarians and veterinary technicians who are treating potentially poisoned pets. “Every year during the week of Halloween our call center gets busy, but never at the levels we experienced in 2011,” said Ahna Brutlag, DVM, assistant director at Pet Poison Helpline. “Many of the cases we handled were for dogs that ingested Halloween candy – the most common denominator being chocolate. By being cognizant of potential hazards, pet owners can help reduce the likelihood of pet poisonings this Halloween. The most common Halloween hazards for pets are chocolate, candy overindulgence, raisins, candy wrappers, glow sticks and jewelry and candles. Candy and sweets overindulgence – Candy and other sweet foods – especially those containing poisonous xylitol – can also be poisonous to pets. Large ingestions of sugary, high-fat candy and sweets can lead to pancreatitis in pets. Potentially fatal, pancreatitis is inflammation of the pancreas and very painful. Pet owners should be aware that clinical signs of pancreatitis may not present for several days after ingestion. Signs include a decreased appetite, vomiting, diarrhea, lethargy, abdominal pain, and potentially, kidney or organ damage. Raisins – Mini-boxes of raisins can be a healthy treat for trick-or-treaters, but they are extremely poisonous to dogs! Raisins are so dangerous that they deserve the same pet-proofing treatment as chocolate – stored in secure containers far from their reach. Dogs can experience kidney failure after ingesting very small amounts of raisins (including similar products with grapes and currants too). For this reason, any ingestion should be treated as a potential poisoning. Signs of raisin or grape poisoning include vomiting, nausea, decreased appetite, lethargy, abdominal pain, excessive or decreased thirst and urination, bad breath, and rapid onset kidney failure. Candy wrappers – When pets get into candy, they can eat the wrappers too. Ingestion of foil and cellophane wrappers can sometimes cause a life-threatening bowel obstruction, which may require surgery to correct. Watch for vomiting, decreased appetite, not defecating, straining to defecate, or lethargy. X-rays or even ultrasound may be necessary to diagnose this problem. Glow sticks and glow jewelry – Due to their curious nature, cats often accidentally ingest glow sticks and jewelry because they are bright and fun to chew. While not usually life-threatening, the contents can cause mouth pain and irritation, as well as profuse drooling and foaming. If your cat chews on glow jewelry, offer a tasty snack to help remove the product from the mouth. Bathing the chemical off the fur is important too, as grooming can contribute to further poisoning. 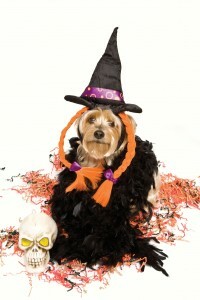 Costumes – If you put a costume on your pet, make sure it doesn’t impair his vision, movement or air intake. If it has metallic beads, snaps or other small pieces, be aware that these pieces, especially those that contain zinc and lead, can result in serious poisoning if ingested. Also, before thinking about dying or coloring your pet’s fur, consult with your veterinarian, as some products can be very harmful to pets, even if they are labeled non-toxic to humans. Candles – Curious noses and wagging tails have a way of finding lit candles. Keep candles out of your pet’s reach to prevent accidental thermal injury or burns. This Halloween, please keep your pets safe. If you think your pet has ingested something poisonous, the veterinary and toxicology experts at Pet Poison Helpline suggest that it’s always easier, less expensive, and safer for your pet to be treated earlier, versus when he’s showing severe symptoms. Pet Poison Helpline is the most cost-effective animal poison control center in North America at only $39 per call, including unlimited follow-up consultations. 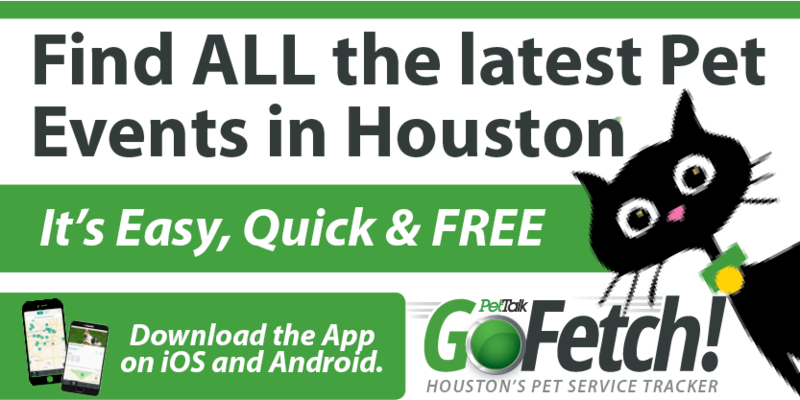 Pet Poison Helpline has an iPhone application with an extensive database of plants, chemicals, foods and drugs that are poisonous to pets. A powerful indexing feature allows users to search for toxins and includes full-color photos for identifying poisonous plants and substances. With a direct dial feature to Pet Poison Helpline, the app is called “Pet Poison Help,” and is available on iTunes. On Monday, Dec. 3, Pet Poison Helpline will be hosting a webinar for pet owners. The topic will be “Holiday Dangers for Pets,” and it will provide in-depth information about the many toxic substances that can threaten pets during the upcoming holidays. For more information and to register, click here. I like this website very much, Its a very nice place to read and obtain info . “No one wants advice — only corroboration.” by John Steinbeck.